Over the years climate change adaptation has become an important part of the response strategies to a changing climate. Every other year the science community, decision makers and practitioners meet to take stock of the knowledge and experiences on the challenges and potentials that adaptation brings. 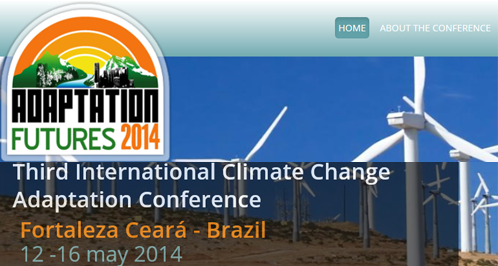 The third international Climate Change Adaptation Conference will take place in Brazil, 12-16 May, 2017. Visit the conference webpage to learn more about the conference.